We have with us a wide range of Gypframe Acoustic Brace that is fabricated using graded raw material and advanced technology. Precision engineered, our range is widely acknowledged for its durability, excellent configuration and precision moulding. Further, these are available in different sizes to meet the requirements of clients. 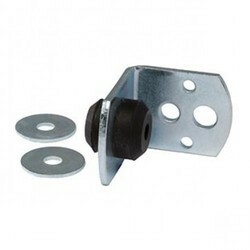 Looking for Acoustical Hanger Brace ?